This Friday May 13th the Vonn Jazz Lounge hosts jazz saxophonist, Ronnie Laws, for 2 shows at 7pm and again later at 10pm. Ronnie Laws’ name is virtually synonymous with good music. True Laws fans know, this gifted contemporary music artist is by no means a new-comer to the business. A native of Houston, Texas, born October 3, 1950, the third in a famous line of four musicians that include his classically trained Jazz flautist brother, Hubert, and his vocalist sisters, Eloise and Debra. 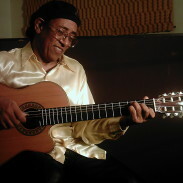 Performing with Ronnie is guitarist & percussionist, Mayuto Correa. General Admission tickets are $20 with preferred seating $30 and $35. Make reservations at http://www.vonnjazz.com/. Controversy quickly erupted around him, with so called Jazz “purist”, criticizing Laws’ inventive, non-traditional, “Jazz Fusion” style. Laws promptly answered his critics by also scoring unprecedented cross-over success in R&B and Pop, in addition to Jazz, and receiving multiple awards for originality in the process.